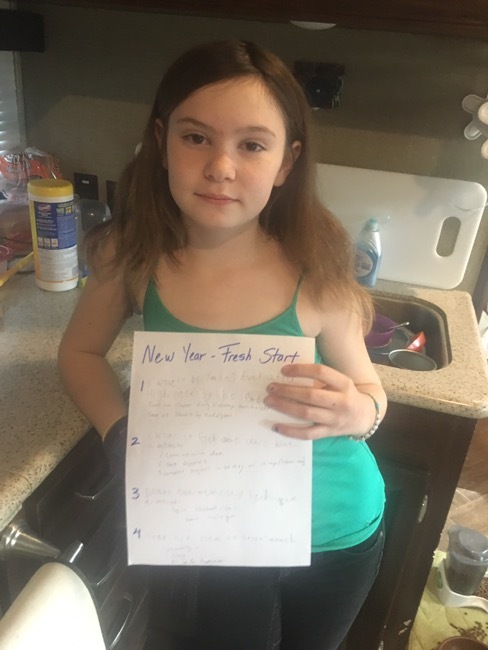 A New Year means to me that it is time to look at Unschool Curriculum and update it to make the last of your homeschool year the best it can be. If I was honest, I always start the school year with ideas on what we are going to learn and how we are going to learn it. 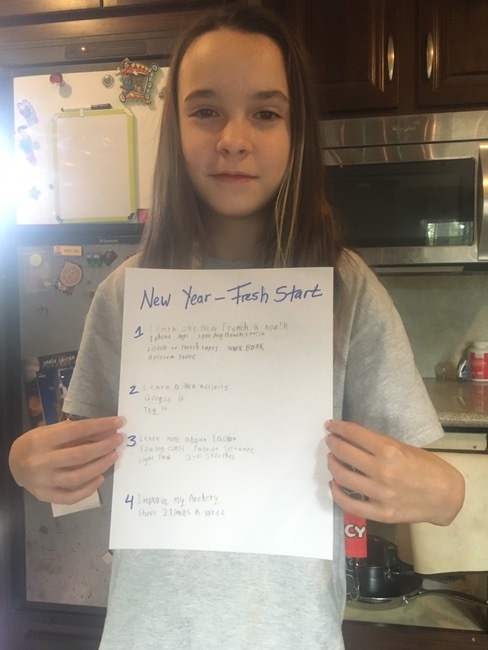 The kids and I set up a game plan and write it down. For the first couple months we do exactly what we intended on doing and then we all get lazy and just quit doing it, or just don’t make the time. Every couple of months or when I feel we are in a rutt and the girls are watching too much TV we sit down and figure out a new game plan for our education. I told the girls to write down four things they want to improve, or something new they want to learn by the end of the year. After writing them down, I then had them add how they were going to carry out each goal. One way was to take some online class with Craftsy. They offer classes like photography, paper crafts, cake baking, painting and sewing classes and even offer some free classes. Once finished we put them on the fridge so we can look at them everyday. The interesting thing is they always seem to disappear after a couple of weeks (still looking into that). I thought it would be fun for you to follow along and set some new Goals also. Let us know in the comments what your kids goals are. So to begin ask your to come up with four things they want to improve or get better at this Year. My kids usually roll their eyes, grumble and just go to their rooms and begin writing. This should only take about five minutes. Then after the grumbling is over we come up with several way to carry out their goals. I added the fifth goal, to work on Math and wrote down how e planned to carry out it. Easy Peasy…. D. Maybe find an online fashion class that I can take?? 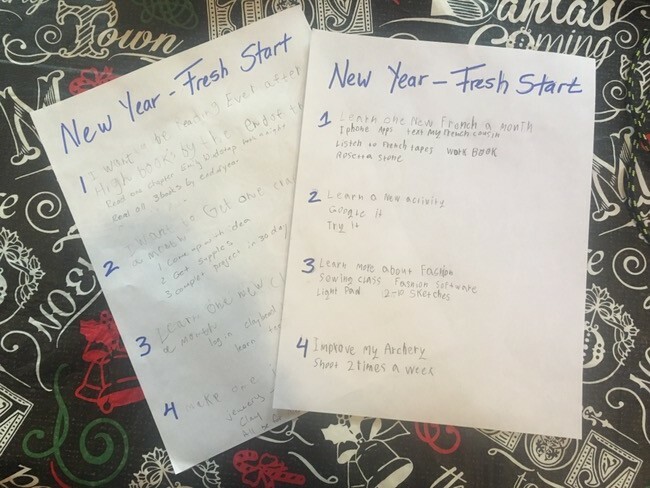 This entry was posted in Unschooling, Unschooling FAQ and tagged curriculum, ideas for next year, new year, unschool curriculum, update by Chrissie. Bookmark the permalink. Although I don’t homeschool my older kids I had them right down daily, monthly and weekly goals/objectives for the upcoming year. Rose, I love that you have the older kids write down their goals. It is a great practice to get start at a young age so hopefully it will help them succeed later in life (which I know they will:).